Are giants real? 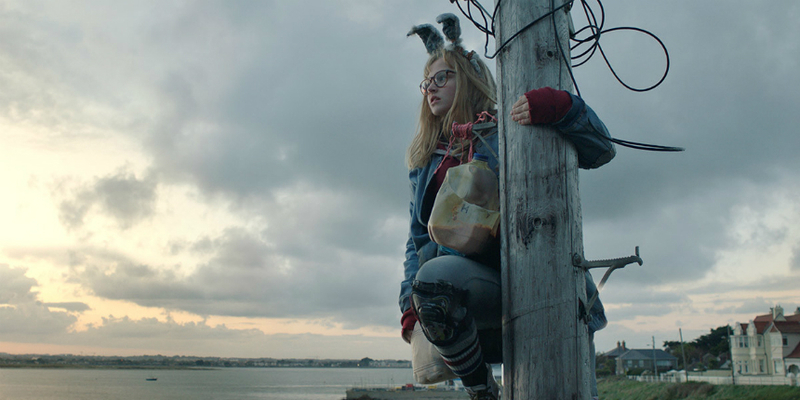 That's the essential question at the heart of a new clip from I Kill Giants. The film tells "the story of Barbara Thorsen (Madison Wolfe), a teenage girl who chooses to escape the realities of school and a drab family life by retreating into her magical world of Titans and Giants," according to the official verbiage. "With the help of her new friend Sophia (Sydney Wade) and her school therapist (Zoe Saldana), she will learn to battle her Giants and face her fears - tackling the mean bullies at school, her sister (Imogen Poots) and her difficult work situation, and eventually her fear of death." My interest in this project dates back to the comic book series, written by Joe Kelly, who adapts his own work for the big screen. During my 'adult comic book' phase, I really liked his books Four Eyes, Bang! Tango and Bad Dog, which all date back to the same period he wrote I Kill Giants, so I'm hoping that the film version captures his inventive spirit and capricious characters. The film makes its world premiere at the Toronto International Film Festival on Saturday, September 10. Enjoy the clip below.